Ed and his wife, Beth, have been married for 32 years and have been members of Preston Road since 2003. Ed grew up in this area and attended the Walnut Hill Church as a boy. Ed owns a landscaping company and Beth is an Administrative Assistant with the Winston School. Ed works with the Union Gospel Mission feeding the homeless on Tuesday nights and also helps with the Military Community Youth Ministries. Both are very active in Bible Study Fellowship and also serve as teachers in our Children’s Ministry. Shawn and his wife, Kim, have been married for 20 years and have 3 children, Abbie (19), Violet Gracie (15) and Mollie (7). They met while acting in New York and have been members at PRCC since 2001. Shawn teaches theater arts at Irving High School and Kim is an Elementary Theatre teacher at Garner Fine Arts Academy. Shawn has served as a volunteer in the Children’s Ministry, taught in Adult Education and sang on the Praise Team. Both are very active in our Children’s Ministry and Youth Ministry. 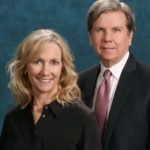 Dan and his wife Stacey have lived and worked in Dallas for over three decades and have been members of PRCC since 1987. 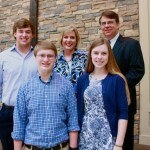 They live in University Park, have been married for 32 years and have five grown children who were all baptized at PRCC. Dan is an attorney and shareholder with Winstead PC and a former member of the Texas House of Representatives. He has been a long time Bible class teacher, deacon and an elder since 2009. 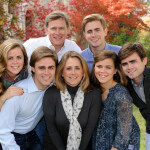 Brad and his wife, Angela, were married in 1992 and they have three boys. They have been members at Preston Road since 1998 (with a three year hiatus in California from 2001-04). Brad has served as an Elder since 2009, shepherding Children’s Ministry volunteers and teaching in Adult Education. Brad is the Vice President of Development and External Affairs at SMU. Cooter and his wife, Claire, were married in 1983. They raised their two grown sons here and have been members at Preston Road since 1983. Cooter has served as an Elder since 2005 and teaches regularly in our Adult Learning Communities on Sunday. Cooter also serves as a Federal Judge and teaches in the SMU Law School. 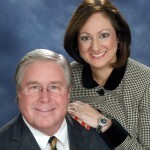 Paul and his wife, Pam, met at PRCC and have been members since 1987. They have two children in college (David at Texas A&M and Daniel at SMU) and a daughter, Carolyn, who lives in Dallas and works in banking. Pam is a CPA in the Business Office at Trinity Christian Academy. Paul works for IBM as a Sales Manager. 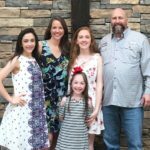 The Heards have been very active at PRCC throughout the years in numerous small groups, teaching in adult and children’s education, serving as Ministry Leaders in our youth ministry and most recently as Class Leaders in the Parents of Teens class. Kenneth Kirklin and his wife Suzanne have been married for 25 years. 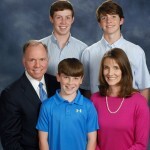 They have been members at PRCC since 1995 and raised both of their boys here – Christopher is working on a masters degree at SMU and will be getting married in June. Cooper is attending Stephen F. Austin studying environmental science. Kenneth works for KPMG in their Advisory Management Consulting practice and Suzanne is a Physical Therapist. 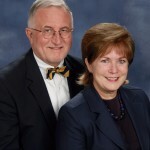 Kenneth has served on the Barnabas Committee, as Chairman of the Operations Committee, and taught Adult and Children’s classes, while Suzanne has always been very active in the Children’s Ministry even serving as Children’s Minister for a while. 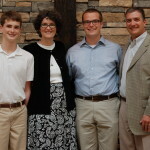 The Kirklins have been on multiple mission trips and most recently went to Guatemala. Jim is a West Texas native who lives in Dallas with his wife, Judith. 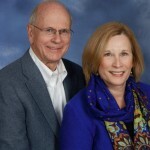 Jim and Judy have two grown children and have attended Preston Road since 1994. Jim served as a Deacon before becoming an elder in 2009. In addition, they are the Encouragers Class Leaders. Judy retired as a middle school principal in Richardson ISD, and Jim is an engineer in the energy industry. Larry and his wife, Janet, were married in 1975 and have 2 grown children and 5 grandchildren who also attend Preston Road. They have been members here for 27 years and Larry has served as an Elder since 1998. They are involved with numerous activities at Preston Road. Michael and his wife Darla met and married over 20 years ago here at Preston Road. Michael became a member here in 1993, feeling drawn by the Spirit’s presence that seems to course thru our church family. Darla had been here for a few years prior. 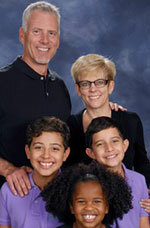 God built their beautiful family through adoption, now including 3 children; Stone, Sterling, and Savannah. Michael has been in the healthcare industry all of his professional life, and is currently focused in the IT sector around operational analytics. Darla previously had a very successful interior design business, but is now a full-time mom/PTA/community/church volunteer. 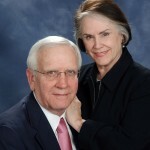 They have been active in a number of PRCC ministries over the years, including teaching, VBS, Missions Committee, NFNL, ChristianWorks for Children, CitySquare, Young Marrieds and other related Christ-centered organizations. Stan and his wife, Cindy, have three grown children and two grandchildren. Stan has been an Elder since 2009 and served as the Chairman of the Elders for several years. After a career at Bank of America spanning more than 30 years, he retired in 2016 and now oversees a family office.